Word came out yesterday that Brooks and Dunn have been back into the recording studio- this time with friends- and will be releasing a new project titled Reboot in the coming months. Kacey Musgraves, Kane Brown, Thomas Rhett, Brett Young, LANCO, Ashley McBryde, Midland, Luke Combs, Brothers Osborne, Cody Johnson, Jon Pardi and Tyler Booth are among the artists taking part in the project. A preview of the album on iTunes shows Combs collaborating with the duo on "Brand New Man," while Brown joins them for "Believe." 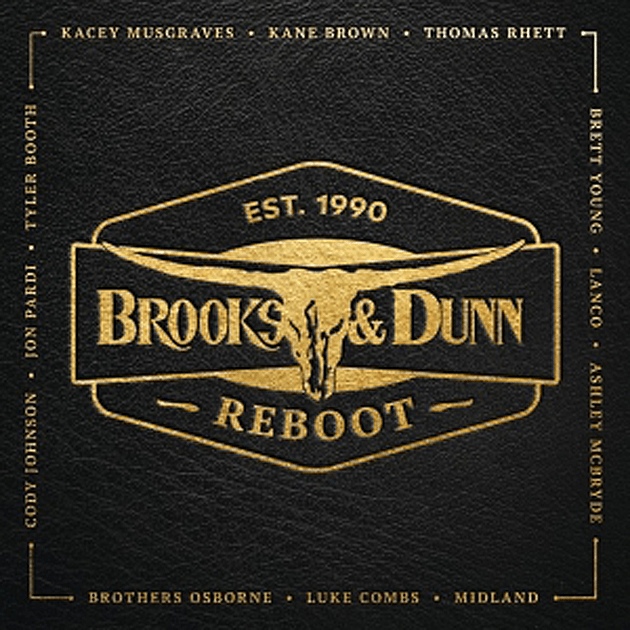 Reboot will be Brooks & Dunn’s first studio album since Cowboy Town in 2007. Since parting ways in 2009, Brooks and Dunn have embarked on solo projects. In 2011, Dunn released his self-titled solo album, which included the singles "Let the Cowboy Rock," "Bleed Red," and "Cost of Livin'." Brooks released his solo album New to This Town in 2012. Since 2014, the duo has performed a series of Las Vegas shows with Reba McEntire.